Metal Flake Diamond Journeys Available Now! This limited run was blended with a metal flake effect in the plastic, which gives it a sparkle finish. These are sure to be one of the longest and most stable run of The Journey to come out of the Gateway shop. Get them while you can! Kevins been mixing polymers and making sweet discs for Gateway for 4 years now. He’s our lead quality control guy and can do every job in the shop. Stop by the shop to say hi to him, get a tour and see how it all works! Check out our newest addition to our line up, the Prophecy (5-5-0-2) is a slightly over stable midrange with lots of glide and control. 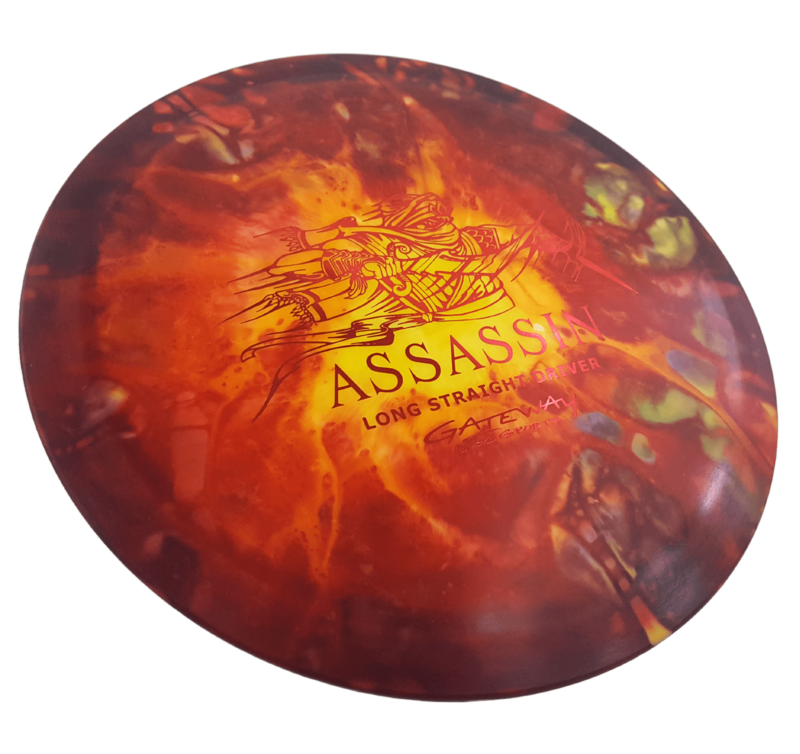 This disc is getting great reviews from those who’ve had a chance to get out and throw this winter. Looks and flies like a ROC with more speed and glide, it has a good resistance to turn and a little less fade at the end. Available in Suregrip, Glow Suregrip, Diamond and Glow Diamond. Get one today on our site or ask your local retailer to contact us about getting some in. We’re back at the dye station again and have been working on some new styles of dyes on our Platinum and Diamond blends of plastic. We also have some dyes in from Tracy Garland of Lunatic Dyes. Lots of cool and unique styles available for retail and wholesale! Wizards, Elements, Scouts, Assassins, Slayer, Samurai + more! !